TWELVE associations are confirmed to compete at National Netball Championships in Lae next week, says an official. Netball PNG chairman Julienne Leka-Maliaki, pictured, said an abundance of raw talent from the smaller centres would be on display throughout the week-long tournament. Leka-Maliaki said the junior divisions would compete on Sept 18–20. The senior players will battle it out at the Sir Ignatius Kilage Stadium on Sept 22–23. She said membership had remained the same this year due to general elections last year. “But we are hoping to increase membership next year,” Leka-Maliaki said. 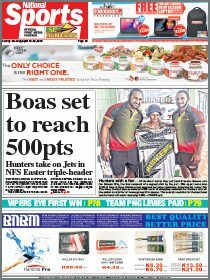 “We have the Southern region dominate the championships, with Port Moresby, Rigo, Abau, Kairuku-Hiri, Alotau, Gulf and Motu-Koita West in attendance. 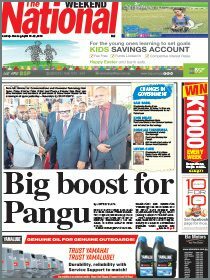 “Lae, Wewak and Madang will represent Mamose. “Jiwaka and Goroka will represent the Highlands. “But we are expecting strong competition from Kairuku-Hiri and Gulf. “This is a sanctioned event for selections for both the senior and junior squads for international matches.